Viet Tiep Lock Joint Stock Company is the modernest and biggest company in Vietnam providing locks. The company specializes in producing locks and some luxyrious metal products. The company's production capacity is over 20 million products every year with hundreds of different categories in order to serve domestic consumption and export. 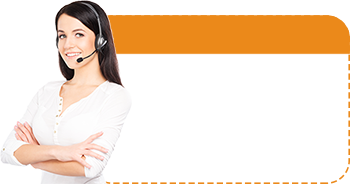 The company continuously innovate and invest for modern equipment and advanced technology to produce different kinds of high quality products to meet the ever changing needs of customers. 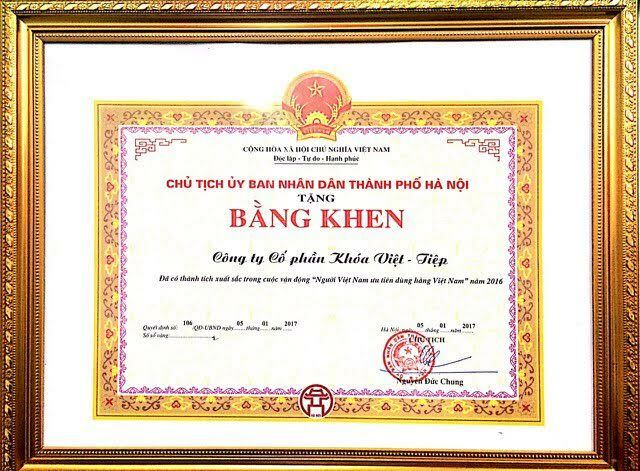 Viet Tiep Lock has been voted as "Vietnam High Quality Goods" for many countinuos years. 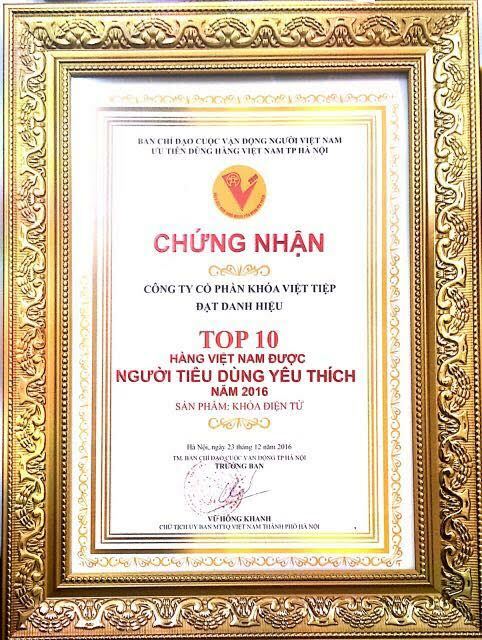 Viet Tiep Lock was awarded "Gold Cup" and "Vietnam Quality Award" by Ministry of Science, Technology and Environment and was rewarded over 100 gold medals at the large scale fairs in the nation. Some awards Lock Vietnam - Czech reached. Some typical customers and partners trust and select Viet-Tiep lock for their works.